The United States has cut off part of its annual donation to the UN Relief & Work Agency for Palestinians (UNRWA) arguing that it expects reforms be made to the agency before making full contribution. The State Department has withheld $65 million of $125 million planned for this year as US contribution to the UNRWA in a move that translates President Donald Trump’s early January threats to cut funding to the UN agency. The UN agency has been providing relief and social services since 1950 to millions of Palestinians spread across the Middle East, including Gaza, occupied West Bank, Syria and Jordan. The State Department argues that the UN agency is ill-manned in the way it ‘operates and is funded’. “We would like to see some reforms be made,” said State Department spokeswoman Heather Nauert, pointing out that the cut was a punishment to the agency. The US official also noted that Washington expects other countries to contribute as much as the US to the agency. “We don’t believe that taking care of other nations and other people have to be solely the United States’ responsibility,” she said. 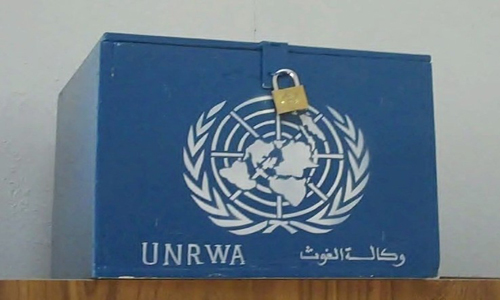 “The United States has been UNRWA’s single largest donor for decades. In years past, we contributed some 30 percent of UNRWA’s total income,” another US official told AFP on condition of anonymity. He claims that the US contribution is critical to the agency’s survival. President Trump in a series of tweets on January 2 slammed Palestinians for obstructing his administration-renewed peace efforts following his December decision declaring Jerusalem capital of Israel. The US leader said that America was not getting any appreciation or respect from Palestinians despite US donations. UN Chief Antonio Guterres said he was not aware of the US planned cut but warned that the agency provides “vital services”. He called for global generosity to make up for the loss of US support.